In addition to the bed and nightstand, your dresser or chest of drawers one of the key focal pieces of bedroom furniture. Our custom made cottage chests and salvaged wood dressers are of high quality and solid construction to last for years of wear and come in a variety of dark and light finishes. Our chests offer three or more drawers for your belongings and come in a variety of sizes to compliment your bed or headboard. We also offer a variety of mirrors that you might want to consider pairing in your dressing area or above your chest. Chest - Coastal Cottage CollectionPacific Home Furniture’s Basket Weave Chest is perf..
ChestThis Bill Chest from Pacific Home Furniture is a perfect for any room.Material &ndas.. Chest Of Drawers- The Carlos Chest from Pacific Home Furniture is a six drawered chest .. Seven Drawer Chest - Coastal Cottage CollectionThe Classic Seven Drawer Chest from Pacific Home .. Chest - Coastal Cottage CollectionPacific Home Furniture’s Cooper River Chest is perf..
Cottage Chest - Coastal Cottage CollectionThe Cottage Chest from Pacific Home Furniture is ..
Chiffonnier - Coastal Cottage CollectionPacific Home Furniture’s Cottage Chiffonnier is th..
Hand-crafted Chest This beautifully hand-crafted chest from Pacific Home Furniture in a.. Blanket Chest - Coastal Cottage CollectionThe Dockside Blanket Chest from Pacific Home Furniture..
Dockside Chest - Coastal Cottage CollectionPacific Home Furniture’s Dockside Chest is ..
Edisto Chest - Coastal Cottage CollectionThe Edisto Chest from Pacific Home Furniture is be..
Drawer Chest - Coastal Cottage CollectionPacific Home Furniture’s Five Drawer Chest is&nbs..
Four Drawer Chest - Coastal Cottage CollectionThe Four Drawer Chest from Pacific Home Furniture ..
French Chest - Coastal Cottage CollectionThe French Chest from Pacific Home Furniture is pe..
Lennon Chest Item Name Lennon Chest Item Number LI-S13-.. 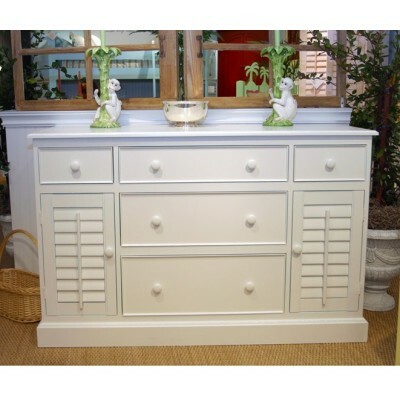 Lingerie Chest - Coastal Cottage CollectionThe Lingerie Chest from Pacific Home Furniture is the.. Chest of Drawers - Coastal Cottage CollectionThe Lowcountry Bedside Chest of Drawers from Pacifi.. Chest of Drawers - Coastal Cottage CollectionThe Lowcountry Riverside Chest of Drawers from Paci.. Chest - Coastal Cottage CollectionPacific Home Furniture’s Oglethorpe Chest is perfec.. Featuring one of our most classic pieces, the Patric Chest is carefully carved from poplar and pine .. Chest of Drawers - Coastal Cottage CollectionPacific Home Furniture’s Plantation Chest of ..
Plantation Linen Press - Coastal Cottage Collection• Two Doors • Three Draw.. Recycled 3 Drawer Pine Chest Ships in 14-28 Days Free Shipping Free White G.. Recycled Pine 6 Drawer Chest Ships in 14-28 Days Free Shipping Fr..
Wood DresserThis item from Pacific Home Furniture is artisan crafted with meticulous care out of..
Dressing TableThis Savannah Dressing Table from Pacific Home Furniture works great in any room o.. Chest of Drawers - Coastal Cottage CollectionThe Seaside Chest of Drawers from Pacific Home Furn..
Victoria 6-Drawer Dresser Compliment your bedroom décor with the traditiona..